The new standard in self-ligating brackets. Nu-Edge SL sets the standard for self-ligating brackets. The design incorporates multiple options that gives you flexibility for your patient needs. A distinctive slide locks the archwire into place while hidden tie wings and undercuts can be used for additional ligation, if needed. 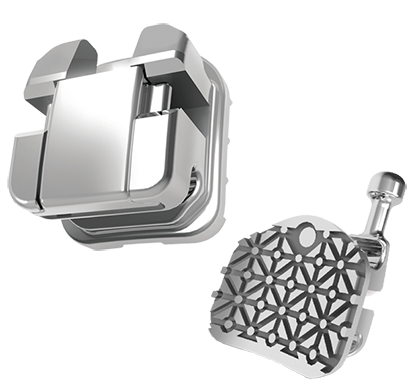 All this in a single bracket with an ultra-smooth surface of cobalt chromium, nano polished for enhanced patient comfort. 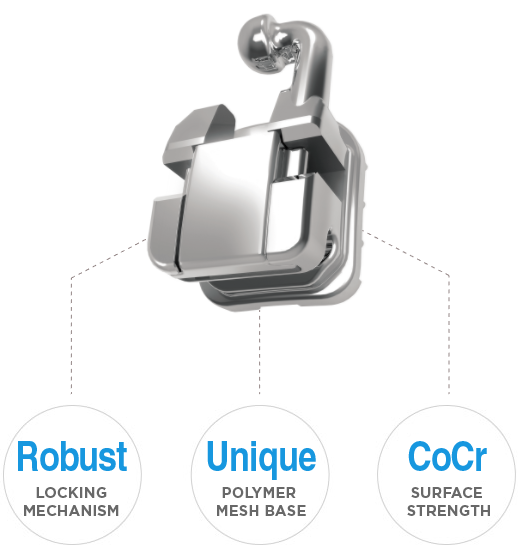 Nickel Free – Cobalt chromium is biocompatible for nickel sensitive patients and off ers superior strength to prevent slot collapse due to occlusal forces. Robust Locking Mechanism – Once the slide is locked in place the archwire slot becomes a ridged tunnel preventing the bracket from being unseated. 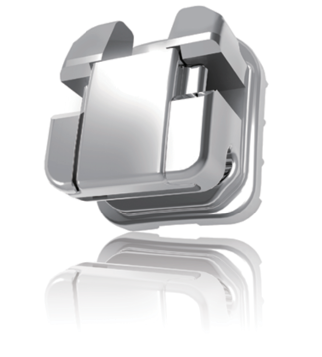 This distinctive dumbbell mechanism provides an audible assurance that the archwire is locked into place. The slide is easily opened using a standard explorer and closed simply by applying ﬁnger pressure. Nano Polishing Technology – Helps prevent bacterial adhesion, reduces friction and enhances surface smoothness for patient comfort. Maze Base Design – The maze base is designed for optimal bond strength and unmatched adhesive retention during debonding. Ligation Options – Hidden tie wings allow for traditional elastomeric ligation if needed. Metal ties can also be used due to the strategically placed auxiliary wire slot.